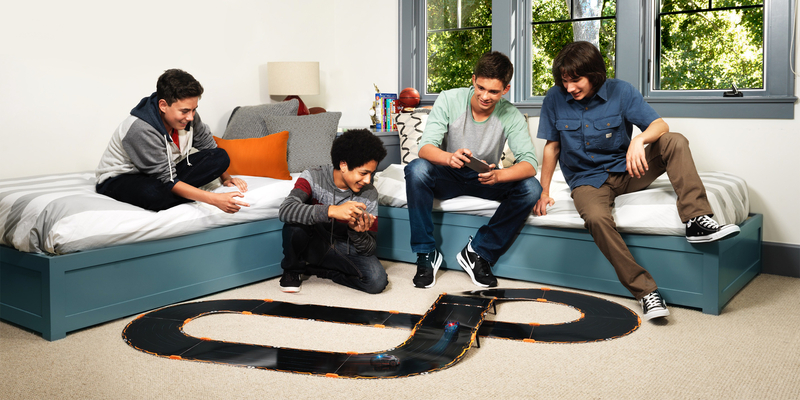 Looking for a gift for my son, I came across the Anki Overdrive , it reminded me of similar sets I used to play when I was younger and I remember how much fun I used to have with them. That being said, this set differs from those in that it is controlled from your iOS or Android phone so you can actually steer it and adjust speed rather than just pushing the gas. You can have multiple cars on the track at once so it is fun for the entire family. Add on track is available as well so you can make it as big or little as you want. My personal favorite is the ramp extension. This toy is sure to make the Christmas top toy of the year. Get your very own Anki overdrive starter kit on Amazon.